Even make-up application: helps to gently apply make-up and evening out your skin tone for flawless beauty. For optimal results and hygiene it is advised to replace the Beauty Sponge head every three months. After each use, wash the sponge to keep it clean and in optimal condition. It comes as a duo pack, so you are equipped for a full 6 months. 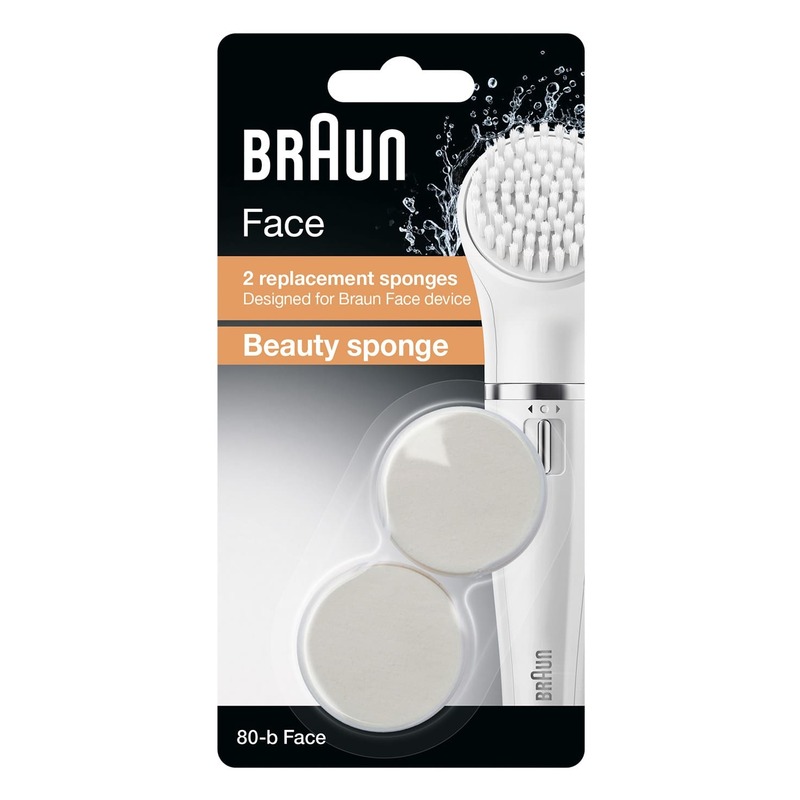 Cosmetics absorption and even make up application <br> The Braun Face beauty sponge has a dual usage:<br/> Cosmetics absorption: helps to massage your favorite cream or serum into the skin<br/> Even make-up application: helps to gently apply make-up and evening out your skin tone for flawless beauty. <br> For optimal results and hygiene it is advised to replace the Beauty Sponge head every three months. After each use, wash the sponge to keep it clean and in optimal condition. It comes as a duo pack, so you are equipped for a full 6 months.